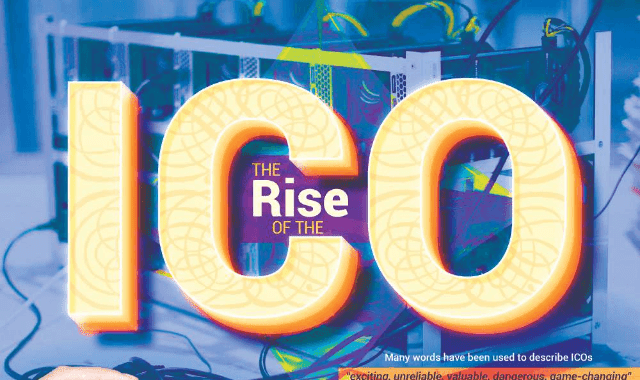 Rise of the ICO #Infographic ~ Visualistan '+g+"
Based on the popularized use of cryptocurrencies like Bitcoin, ICOs are a modern way to invest. ICOs, or initial coin offerings, are currently a $3 billion industry with no sign of slowing down - the current record for funds raised via ICOs was Tezos which topped the charts by earning $232 million in just 13 days through Bitcoin and Ethereum. Not to be confused with IPOs (initial public offerings) where investors own shares in the company, ICOs offer a different benefit to its investors. Also referred to as "crowdsales," investors of ICOs get digital tokens than can be traded and sold and whose value rises and falls with the company's performance. Just as any new way to invest, ICOs are fraught with risk fraud. Being so new there is a lack of third party research or legal regulations for ICOs that may turn off many investors. Though IPOs have have their ups and down since its inception in 2013, thelast year has seen steady rapid growth in not only the numbers but also the quality of projects participating. Initial coin offerings are taking investing into the future - can you keep up? Take a look at this infographic for more on the changing face of investments and how you can get involved in ICOs.